Forty years after winning the USA’s epic Daytona 500, STP is bidding for a strong finish and even a class win in this year’s European endurance classic, the 24 Hours of Le Mans. The iconic STP oval will adorn the LMP2 Nissan V8-powered Oreca 03 of Irish team, Murphy Prototypes. The team’s regular 2013 European Le Mans Series driver line-up of hotshot New Zealander, Brendon Hartley, and the greatly-experienced endurance sports car campaigner, Mark Patterson - who placed 2nd in LMP2 at the Petit Le Mans 2011 - is boosted at La Sarthe by former Lotus and Hispania F1 driver, Karun Chandhok. After their Nissan-Oreca ran at the head of the LMP2 field for five hours at last year’s 24 Hours of Le Mans and with Chandhok placed sixth overall last year, hopes are running high in the Irish team camp, which has its base in Brackley, Oxfordshire. STP, the famed oil and fuel additives engine care brand, is an icon of USA motorsport folklore, with multiple victories at the Indianapolis 500 with Mario Andretti and Gordon Johncock. STP has also shared the equally stellar NASCAR successes of Richard ‘The King’ Petty, partnering him in his record seven NASCAR Championship titles and seven victories of the blue riband Daytona 500, including that of 1973. Today, STP maintains its pioneering and legendary motorsport tradition as founder sponsor of the BLOODHOUND 1,000mph World Land Speed Racing bid, scheduled for 2014 in South Africa. 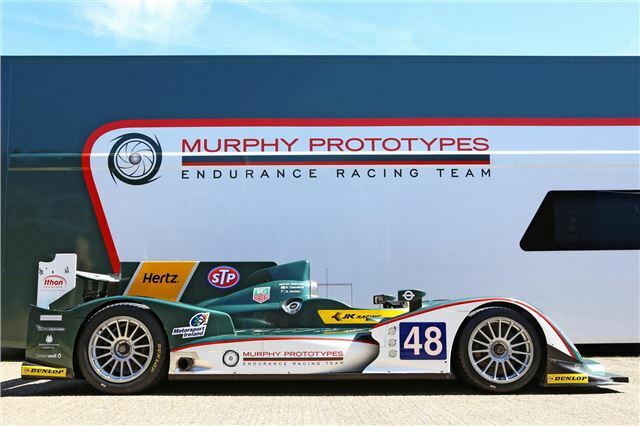 Murphy Prototypes’ vision is to compete at the highest level of Endurance Racing. Last year the team showed its strength and potential by leading the LM P2 class at the 24 Hours of Le Mans. This year the team is heading back to La Sarthe with one ambition - to win in LM P2. Nice regurgitated press release. how about some proper news?